There is fresh speculation today about the imminent release of a 3G iPhone with an analyst claiming one will be introduced within the “next six months”. Richard Gardner, an analyst with Citibank, said in a research note that to meet its target of 10 million iPhone sales by the end of 2008, Apple would be looking to gain greater presence in Europe and Asia. "We believe that lack of 3G has been a significant headwind for iPhone in Europe where 3G is already pervasive," Gardner is reported to have said. Gardner’s prediction tallies with similar comments made last November by AT&T Chief Executive Officer Randall Stephenson when he claimed that a 3G version would be released at some point this year. 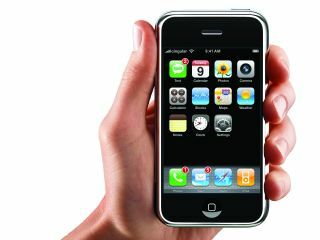 Steve Jobs has remained silent on the release of a 3G iPhone, although during the UK roll-out last year he did claim that one of the problems with the release of a 3G model was the “power hog” nature of 3G chips. There is another theory though, which is that the greatest barrier to the introduction of a 3G model is the fact that, until now, Apple has preferred to concentrate on its core US market where 3G is not as prevalent as it is in Europe and Asia. That may be about to change, however, with an announcement by AT&T last week that it will be extending its 3G coverage to a further 80 US cities. Once 3G really catches on in the US Apple’s hand will effectively be forced. And, of course, now that Apple is ready to grow its non-US markets the corporation must surely realise that it could face resistance from some customers and customers-in-waiting who are used to the speed and convenience of 3G services, and would consider the purchase of a non-3G model a step back rather than forward. The pressure is certainly building on Apple to deliver.